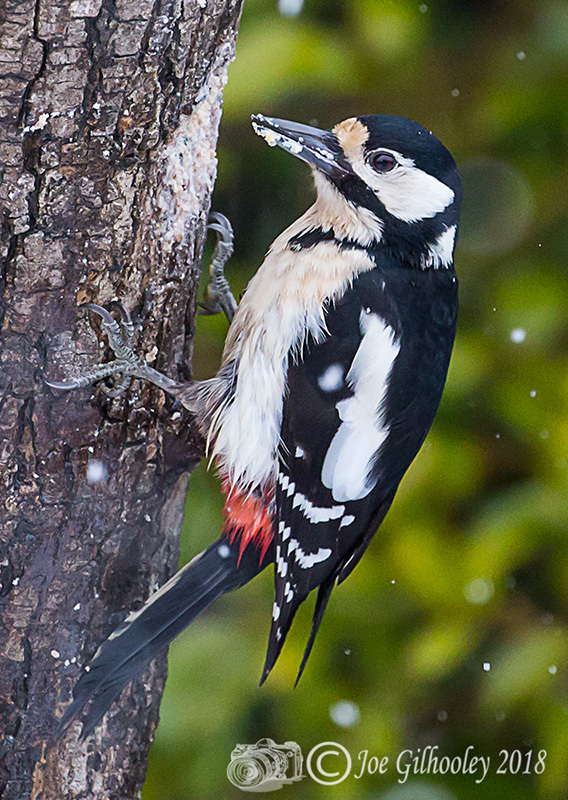 Wednesday 4th April 2018. 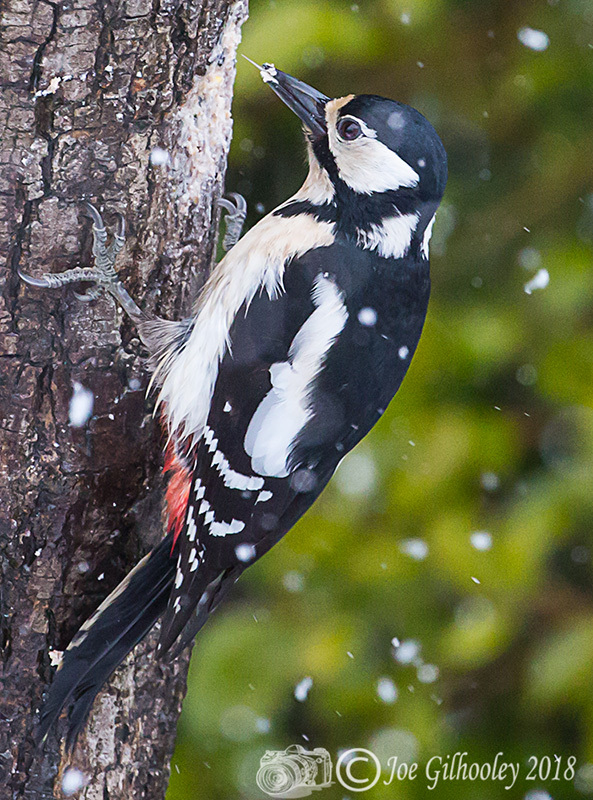 Heavy snowfall today. 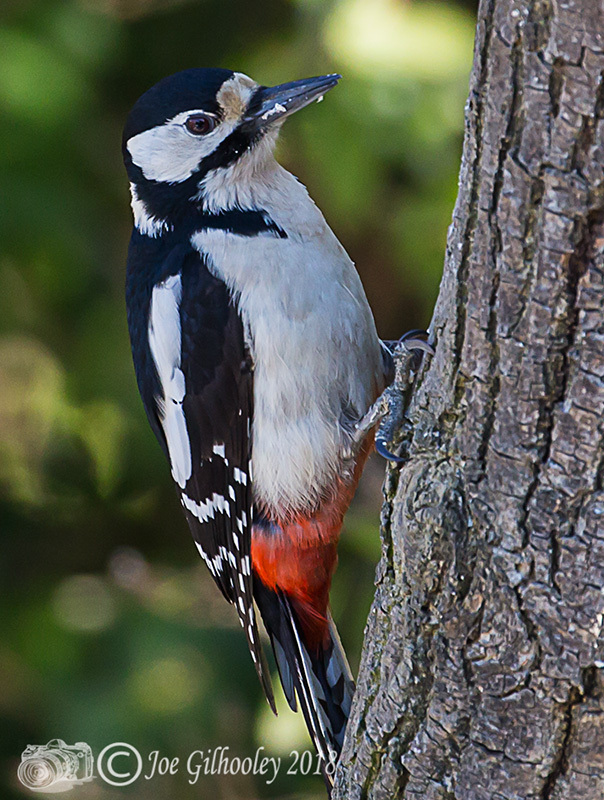 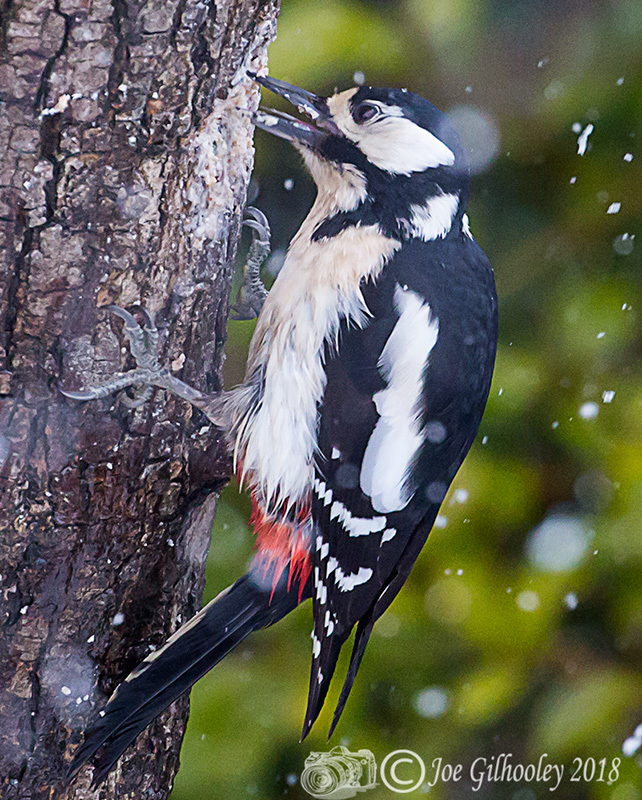 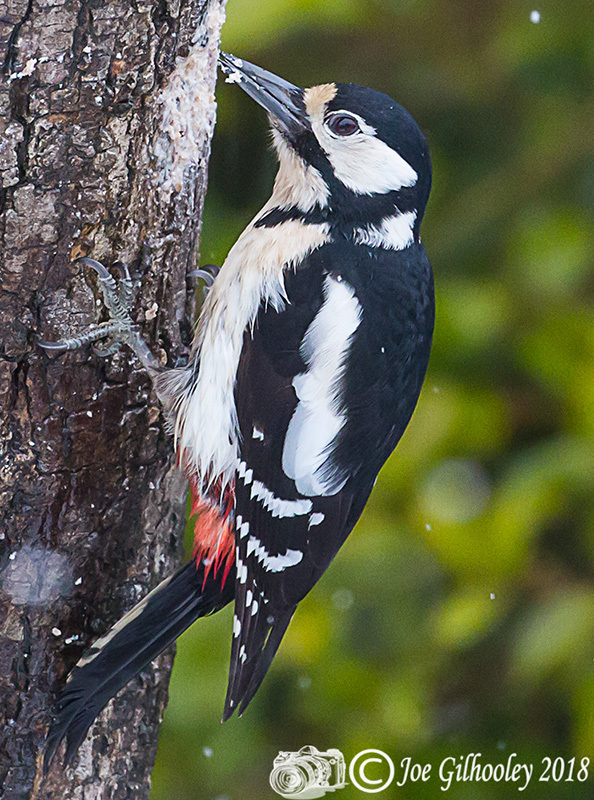 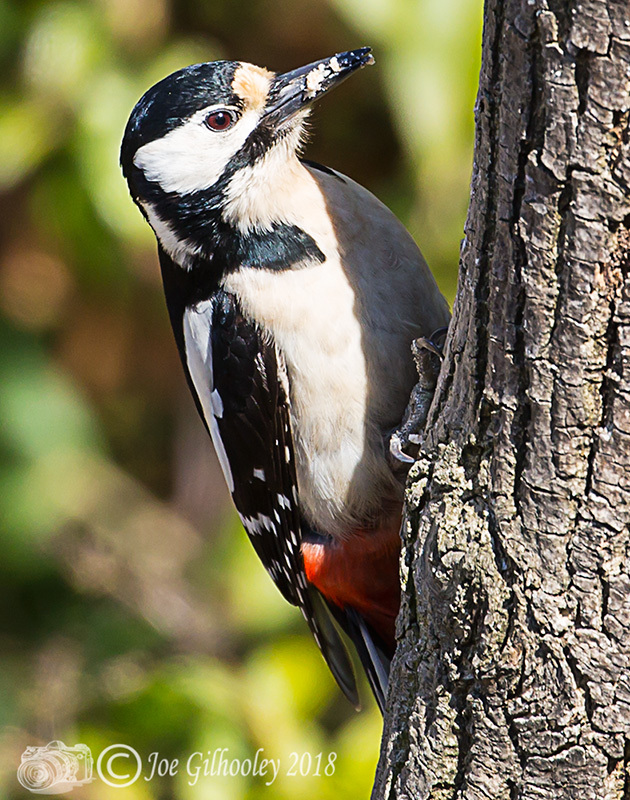 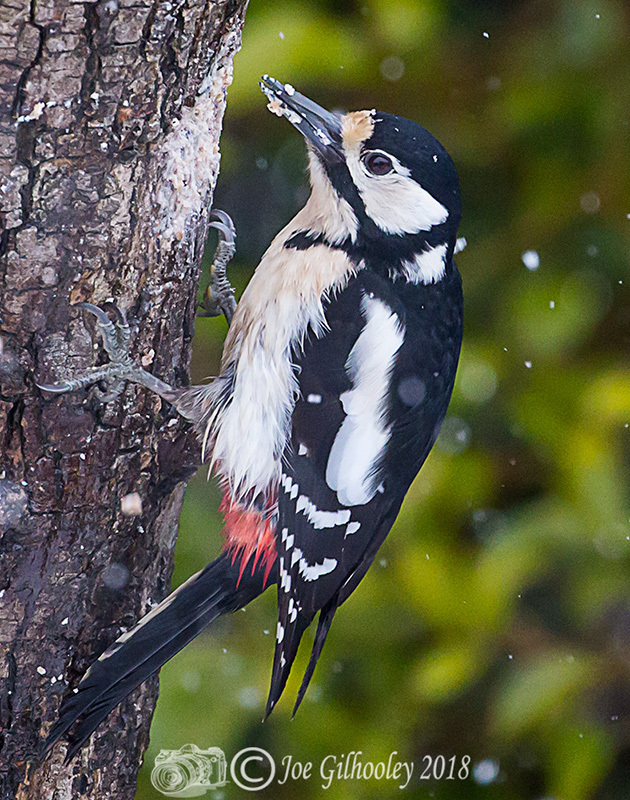 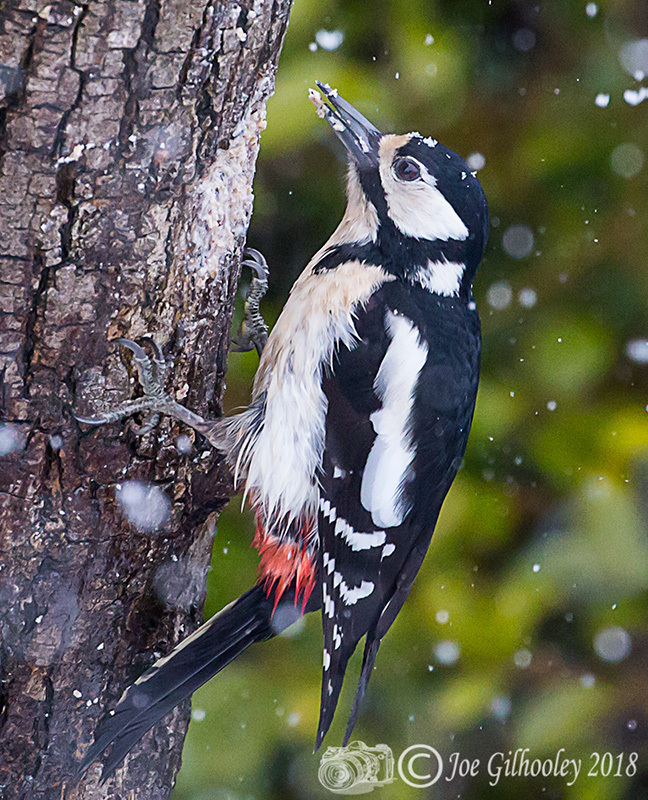 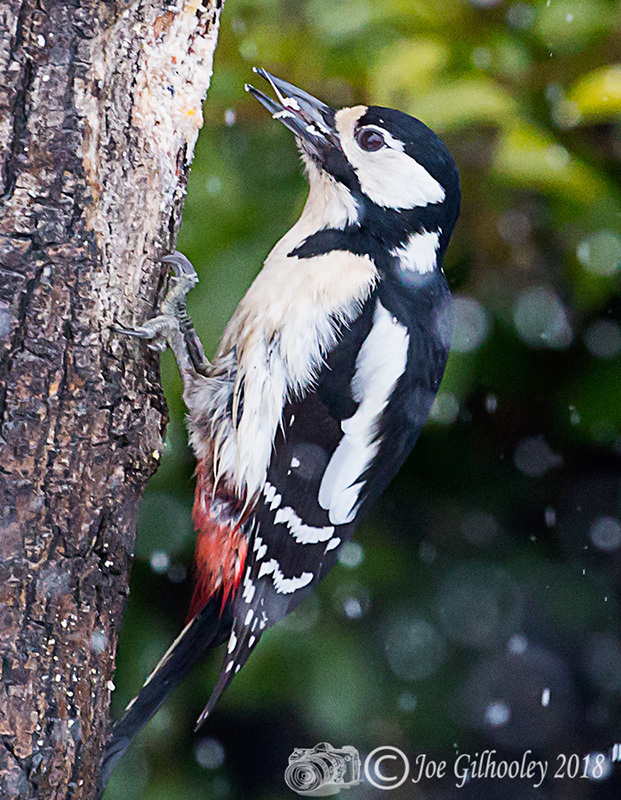 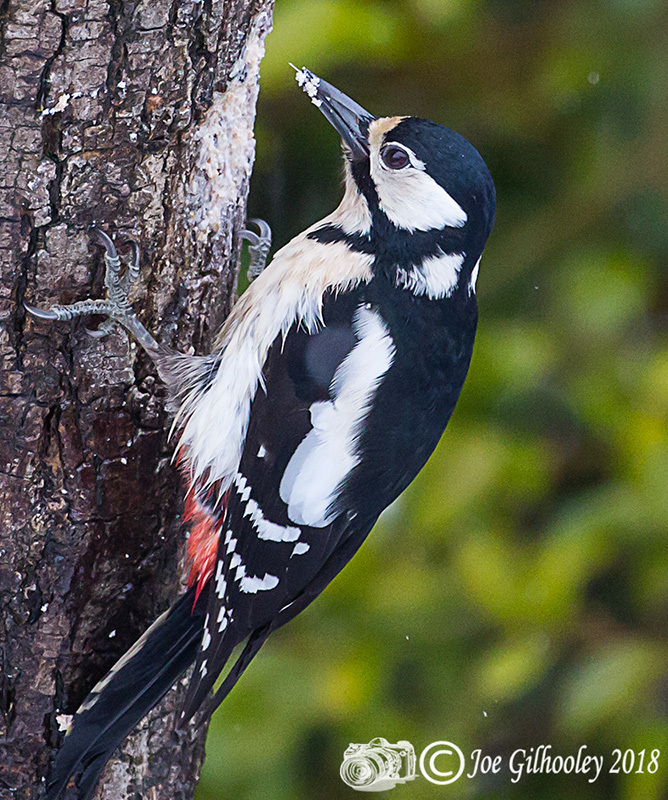 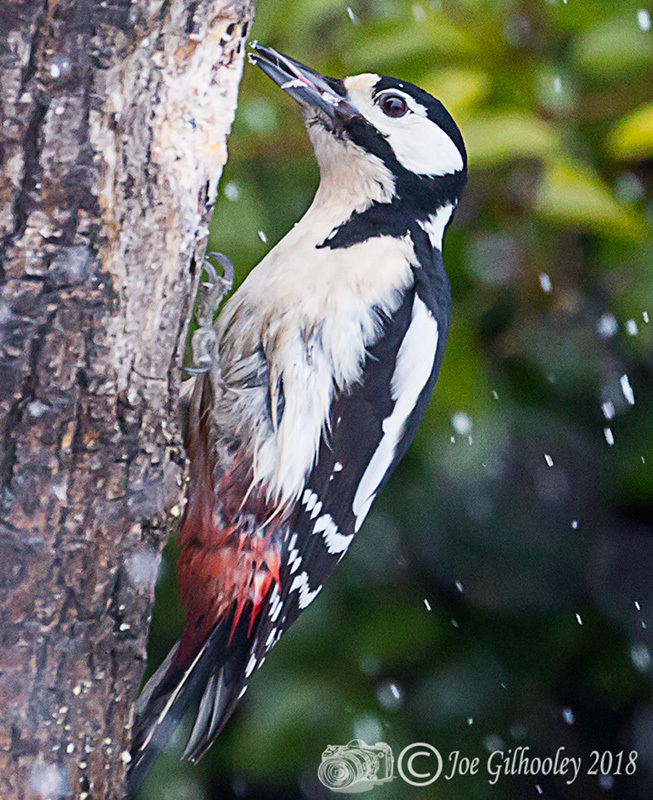 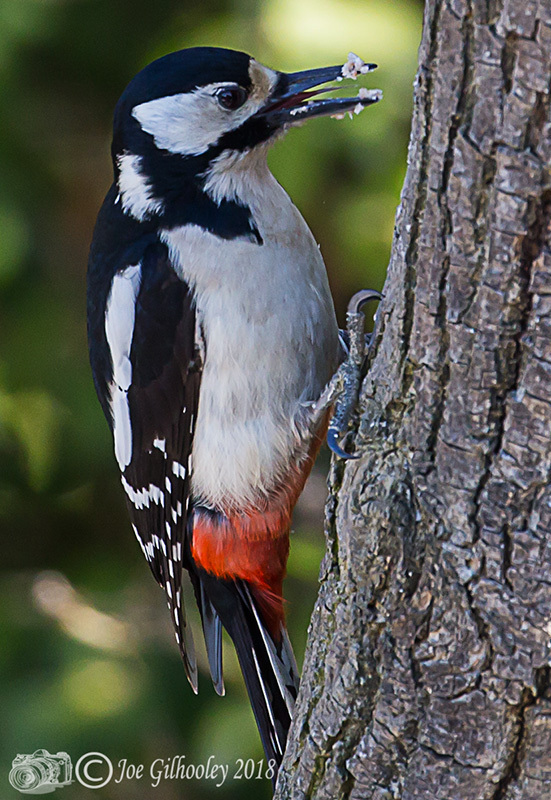 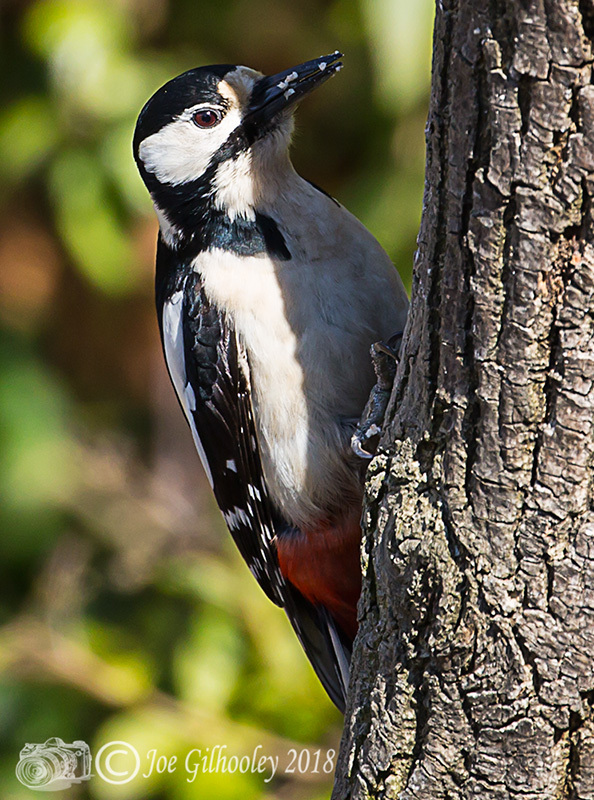 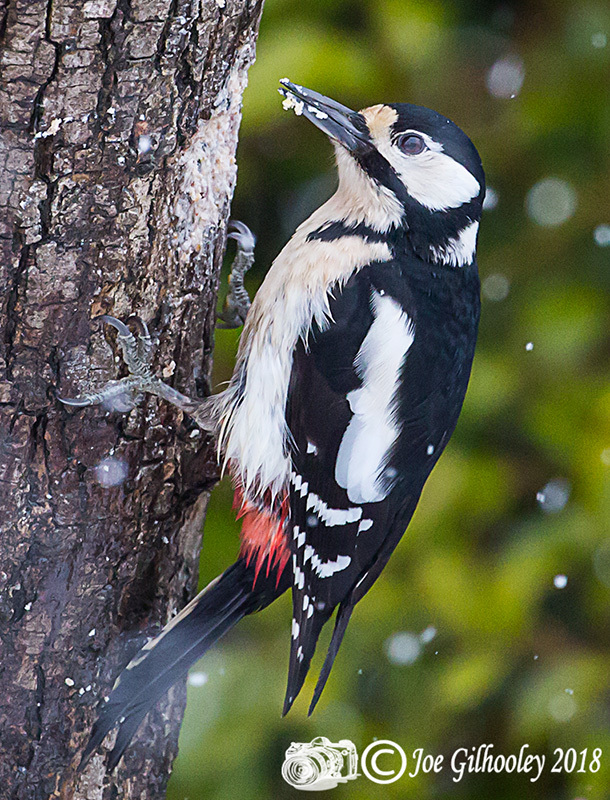 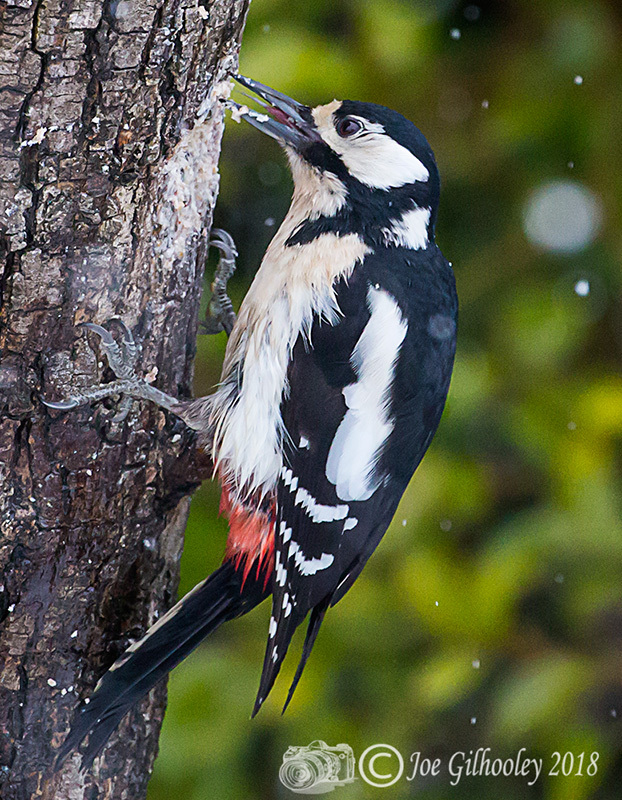 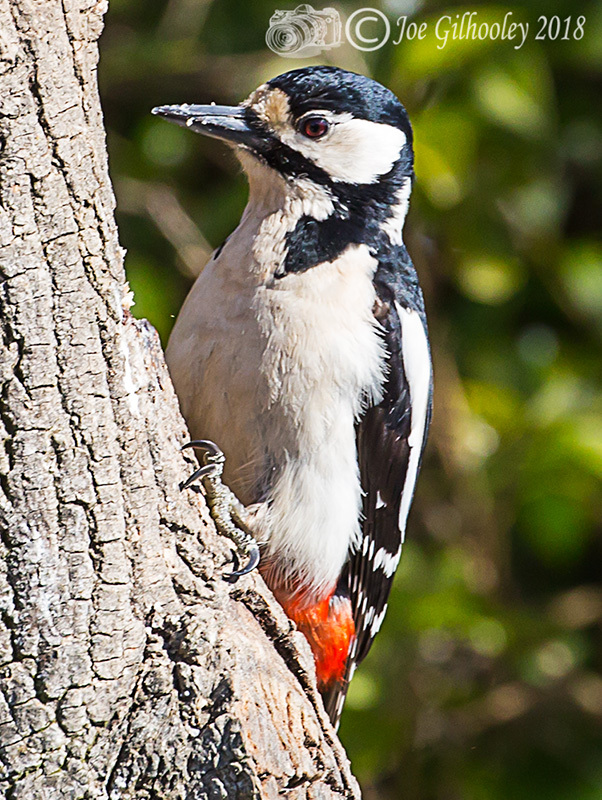 The female Great Spotted Woodpecker continues to come to our garden for food. 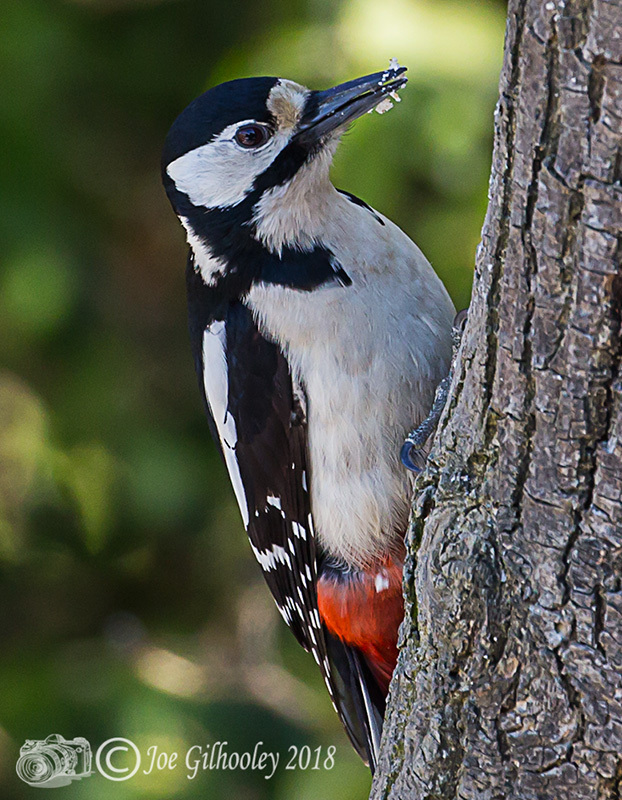 I have drilled holes in and baited a tree trunk. 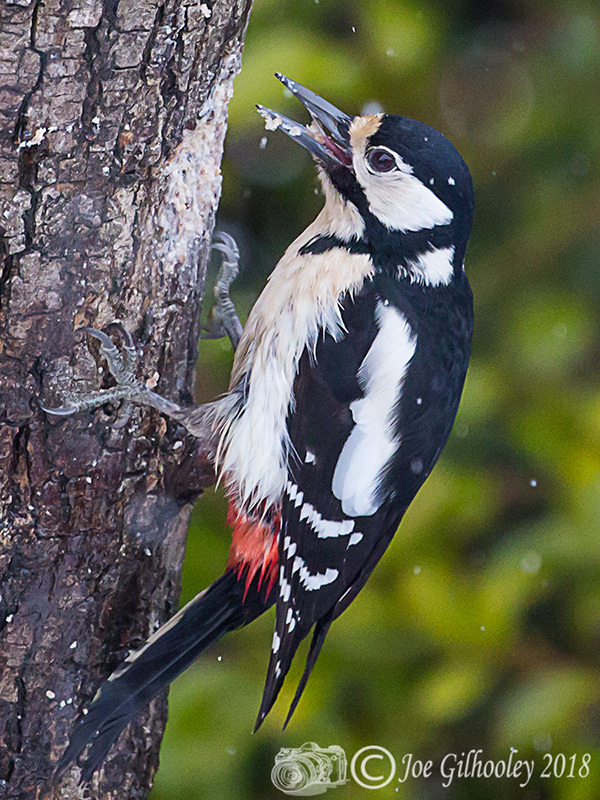 She seems to enjoy the food and visits twice a day at least. 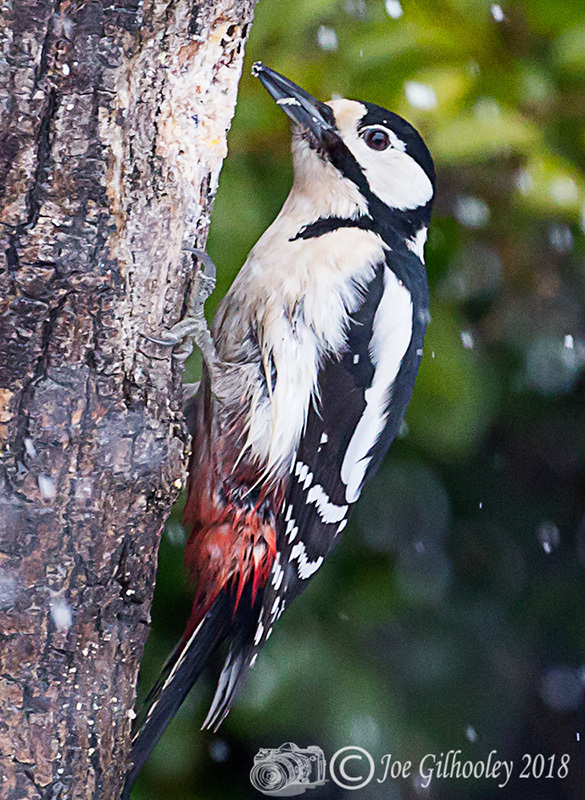 I managed to capture a few shots of her during the heavy snowfall.